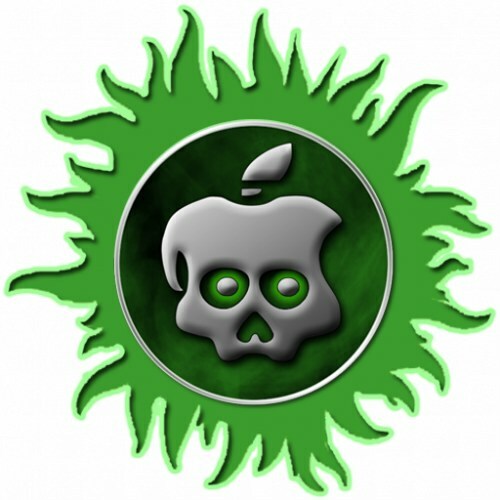 The Absinthe Greenpoison jailbreak utility for A5 based iOS hardware has been updated to version 0.4, fixing several bugs and adding support for PPC Mac users and those running Mac OS X 10.5 on either Intel or PPC platforms. This version is aimed at new users, and if you already have the jailbreak installed on the iPad 2 or iPhone 4S there is no reason to re-do it with this version. However, a new version of the Corona tool was released as “corona 1.0-8” and can be found on Cydia to resolve some of the the bugs that have persisted for some iOS 5 jailbreakers. Older Mac users should be pleased the new Abinsthe version supports them, and instructions to jailbreak the iPhone 4S or iPad 2 with iOS 5.0.1 remain the same regardless of device or host operating system. Again, this is for iPhone 4S with iOS 5.0 or iOS 5.0.1, or iPad 2 with iOS 5.0.1. Other hardware requires the redsn0w jailbreak for iOS 5.0.1. All 5.0.1 jailbreaks are untethered at this point. the error was:” The URL can’t be Shown”. I’m having the same problem. Looks like its probably a server issue. I’m getting the same error. If you have a passcode set it will fail. I’m not sure if disabling it will fix it. I’m trying that now. Well, did anyone have any luck? I am stuck with the same errors. I keep enabling VPN & going back to Absinthe and..it either hangs “waiting for absinthe to complete” and/or gives me the Cannot Open Absinthe/URL can’t be shown error. My passcode was on when I started getting the errors. I’ve since turned it off, to no result. Can anyone post what it was that got them through this? Can you use this without having to upgrade to 5.0.1 first? So no 5.0 is fine! Secondly,if it’s normal and something else go wrong,please explain or fix it.Wanna jailbreak it from first Absinthe version. The initial reboot never happens, so I manually reboot (power+home). After the reboot, the Absinthe icon is there. If I manually go to settings and turn on the VPN, I get the “VPN configuration failed” error. If I manually restart again, nothing happens. My first attempt was from a MacBook Pro. It did the initial reboot, but it would not go to the site from the Absinthe icon after the reboot. Looking forward to any encouraging words. Tried that one and it didn’t seem to help. Still getting the same error. I had the “The URL can’t be shown” error. Try jailbreaking again and allowing it to “fix” the jailbreak. then go to settings, general, and turn VPN on, no need to configure anything, close the popup box. Then try jailbreaking again, after you tap the Absinthe icon I got the error again but after a few seconds my ipad rebooted on its own, after reboot….CYDIA!! Rafael is right! I had the same issue with the URL can’t be shown. I tried again and it attempted to fix the jailbreak. Anyhow, I let that finish and I unplugged and plugged back in the usb and did the whole process to jailbreak again. After that, the Absinthe icon became the CYDIA icon!!! WOOHOO!! Oops, forgot to mention that on the second time, I noticed had the message “sending payload data”. And after i ran absinthe, i waited a few seconds like Rafael said and it rebooted with the CYDIA. I think the main fix here was turning on the VPN thing and doing it all over again. This didn’t work for me, unfortunately. After I had fun with the endless loop of waiting for absinthe to complete, turning on VPN, and clicking Retry on the silly error message..and turning off my passcode. I re-jailbreaked (fix..disconnect/connect, rejailbreak..) I am in the same awesome endless loop of error meesage. By the way, my VPN never really “turns on” – I turn it on, it tries to connect, then gives me a VPN Connection: a configuration error occurred..and turns itself off. By the way, there was no negative result to this not-quite-jailbreaking (besides the wasted couple hours). IPad worked fine w/o me doing anything. I simply deleted the Absinthe app, was prompted for my iTunes password…and my photo stream was empty but refreshed itself after a few minutes. No issues. guyss am still getting the url thing …. n suggestions ? I am having the same issues. I can even get the VPN connected sometimes and still nothing happens but this “URL can’t be shown” error. Any other fixes? I have another issue that might be affecting it. I have pre-existing VPN connections. I can only delete some of the configs and the rest stay. Any ideas how to remove all the vpn connections? I tried resetting all settings and resetting all network settings. No dice – the vpn stuff is still there. I did a web search. Someone said go to general->settings-> profiles and find the configuration file that loaded the profile. I did use a configuration file so this seems logical but there is no area called “profiles” under general -> settings. 1- “URL can’t be shown” error . when i press on jailbreak . 2-“a configuration error occurred.” when i want to turn VPN on it says that . Thanks for the help, worked perfectly. Works flawlessly! Thank you very much! what do you mean with ” manually restore the ipsw you downloaded” ?? How to do it? I was having the same problem! But I just turned off my password on my phone, and tried the jailbreak process again. It tried to “fix” the problem. Then I just ran the Absinthe icon thru my phone. It rebooted itself and the cydia icon appeared. Hope this helps! Thank you very much for your Comment, I did step by step what you wrote and I solved my problem. I left a comment with this instructions in Spanish for the benefit of other Spanish-speaking people! Thanks!! 8. El iPhone dará reboot y FELICIDADES ya tienes CYDIA!!! Espero esto les haya ayudado!!! Things you need to do to have this work. Update your itunes to the latest version available. Don’t have a password enabled on your device. Run absinth in compatability mode, win xp service pack 2 works for most. Right click and run Absinth as administrator, even if you are logged into your comp as admin. Itunes is Updated to the latest version available. I Don’t have a password enabled on your device. Then because I am using Wifi not cellular data, I disabled teh Router Firewall on the Wifi I am connected to. Tried a few times with the VPN connect. Tried to launch absinthe.exe and repair and reinstall 2 times. nothing worked. I had another VPN connection I use for work so I thought maybe the issue was with that, deleted no luck. 1) I removed absinthe from the iphone hold down app and remove. 6)After iphone reloads I reran Absinthe.exe and after a few seconds my iphone rebooted and I had Cydia. Bro you are the freaking man!! Thanks a ton for figuring this out and helping us out!!! This fix worked!!! Thanks Remo! Thanks Remo, worked like a charm!!! Had all the same issues and error messages after first the cycle. turned off my passcode, and started a second cycle. The only difference between the first cycle and second is that after I tapped on Absinthe the second time with some extra patience, my iPhone started rebooting and it seemed like is was getting ready to complete a third cycle but instead the Cydia store showed up in place of the Absinthe App! how to update from 0.3 to 0.4 .. everytime i do it, it says that my ipad is already jailbroken..
After about third try. I combined several of the above suggestions and this is what finally worked. Deleted absinthe icon. Did a full reset on network. Entered wifi passcode back in. I have Win7 64bit, set program to run in compatability mode of XP sp2. Then ran absinthe as Admin. Seemed to take a tad longer than previous attempts, but when program told me to click icon it went without a hitch this time. Cydia is alive and well, along with cydia.hackulo.us repository! :) good luck and thanks! When i start absinthe with iPhone 4s it is telling me to disable password in iTunes, how can I do this? Thanks!!! Exchange forces a passcode lock. Removing my Exchange account and turning the passcode lock off resolved my issue. Thanks you everyone for their posts! !